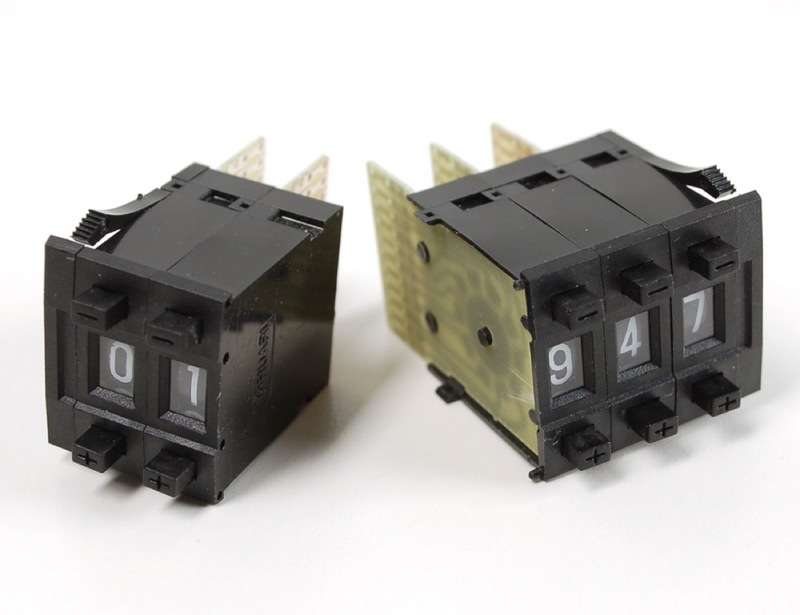 NEW PRODUCTS – Mechanical Decade Counters – Large Size – Pack of 5 and Mechanical Decade Counters – Small Size – Pack of 5 « Adafruit Industries – Makers, hackers, artists, designers and engineers! 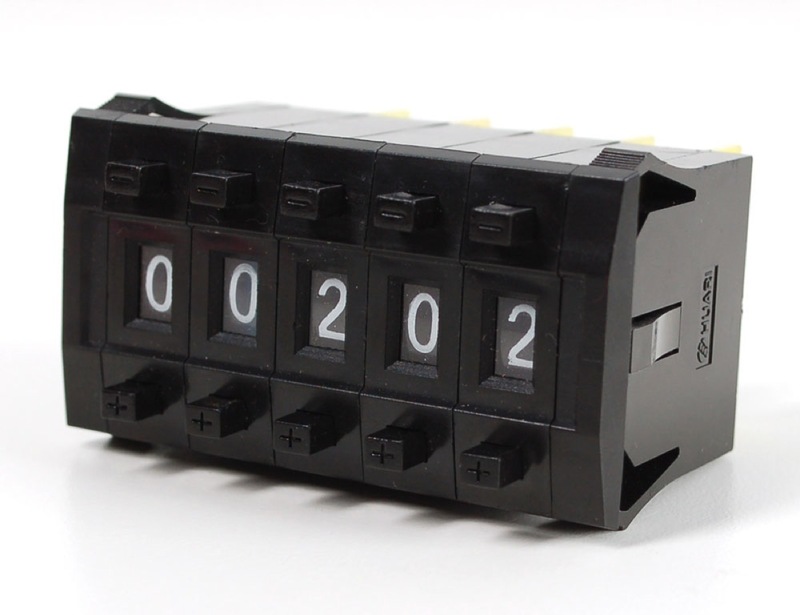 Mechanical Decade Counters – Large Size – Pack of 5. Click click click – oh pardon me I was having fun clicking away on my mechanical decade counters. Each order comes with five individual counters. 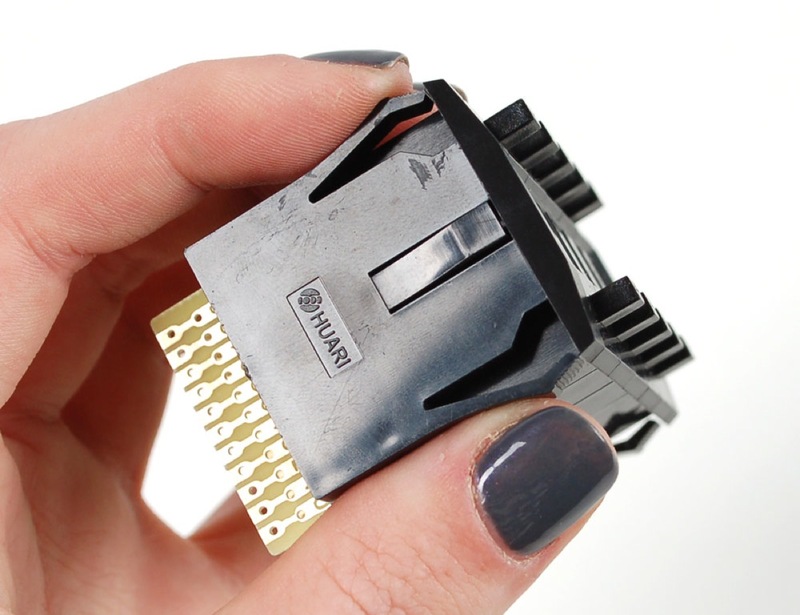 They’re snap together so you can connect as many or as few as you’d like. Each one has two buttons – an up counter and down counter. Once you get to 9 it circles back to zero. 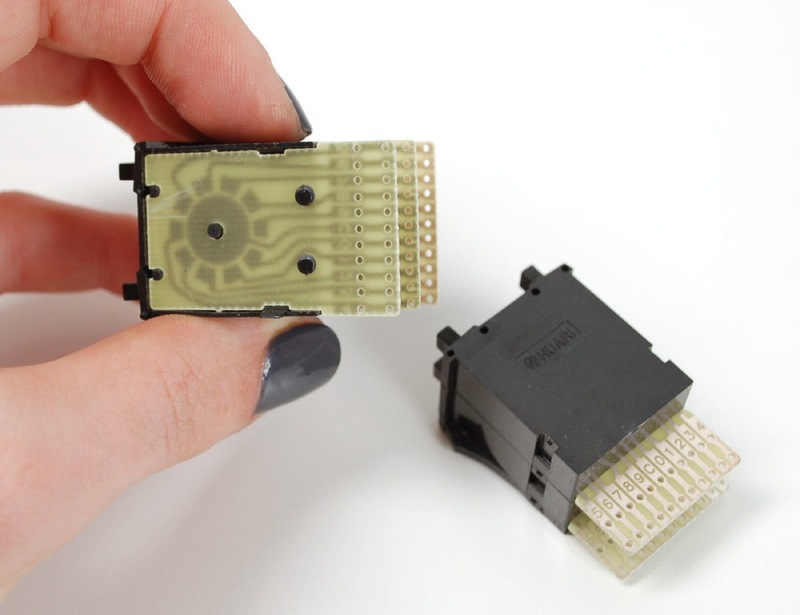 On the back is a PCB with 11 contacts – one common and then 10 that are shorted to the common one by one as the counter goes by that number. These make for an interesting interface! This one is the larger size with a bezel size 1.3″ x 2.44″(for 5 counters with 2 end caps). 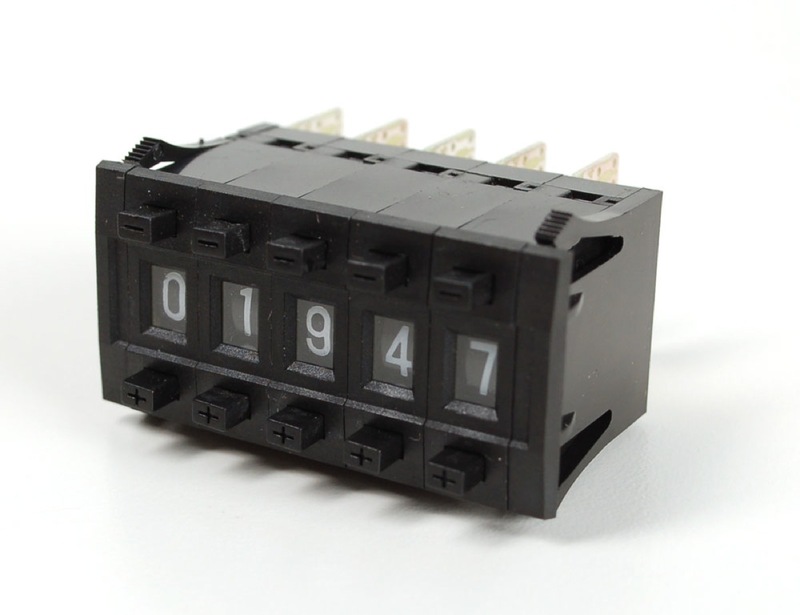 Mechanical Decade Counters – Small Size – Pack of 5. These make for an interesting interface! This one is the smaller size with a bezel size of 1.85″ x 0.94″ (for 5 counters with 2 end caps). Interesting. Actual one-of-ten switches in instead of BCD! These really don’t do any counting at all, as you have to push the buttons, and even then, there is no mechanical linkage between the wafers that will increment or decrement higher decades. There actually have been a variety of mechanical counters around over the years (Veeder-Root was a big name in that arena) but those were an odometer-like contraption that was advanced by a solenoid. Not the same thing at all. 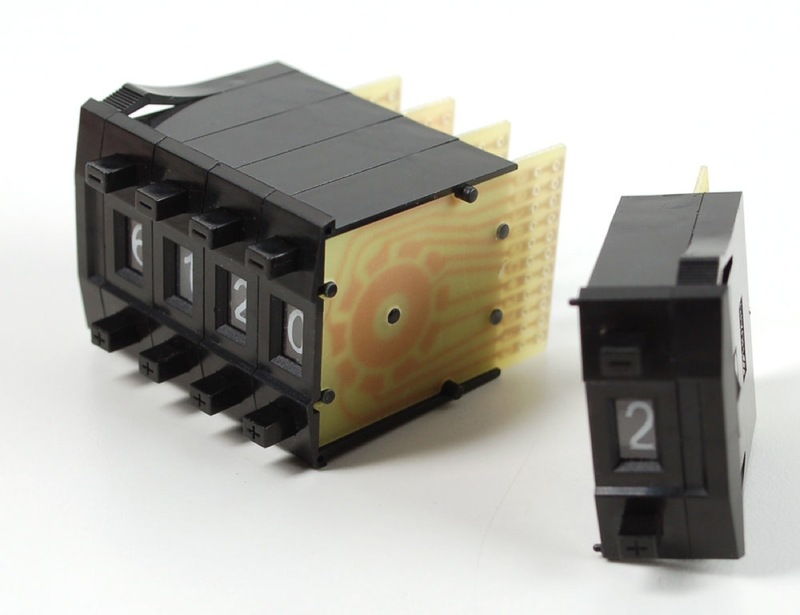 These 1-of-10 selectors are pretty easy to interface to an arduino, etc, but you do need a lot of I/O. They are also handy for making a resistor substitution box! If you ever do consider offering these in a BCD or HEX version, please get the ones with PCB traces laid out for the easy installation of isolation diodes, because you will need 4 per digit if you use a multiplexed-read method to read them. Great to see these in any case. I can’t wait to see what people do with them!